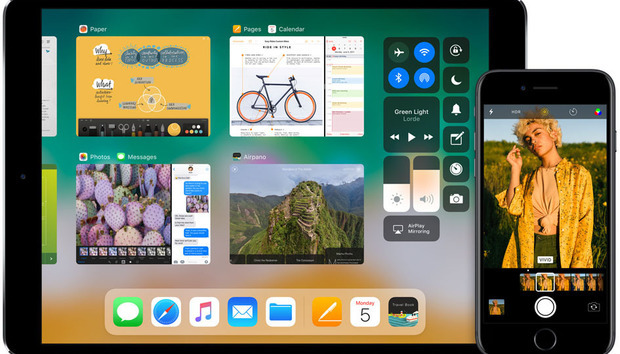 iOS 11 is the biggest change to Apple’s mobile operating system in years. It’s so ambitious in scope that many of it’s promised features still haven’t shipped yet. iOS 11.1 mostly fixed bugs and brought us a bunch of new emoji, so we’re hoping that 11.2 is more substantial. I mean, I love emoji as much as the next person but I really want Apple Pay Cash and Messages in iCloud. Here’s what we know about 11.2 so far. What’s in it, when it’s coming, and how you can grab the beta right now. The big stuff we’re all waiting on—Messages synced through iCloud and Apple Pay Cash—have made no appearance yet in the iOS 11.2 betas. But there’s still time before release. So far we’re only up to the first public beta, and the changes appear to be mostly small bug fixes and a little extra polish. Notably, Apple fixed that bug in the Calculator app where your input was waiting for long animations to play out (if you hit 1+2+3 you’d get 24, because it didn’t register the second plus sign). There are a number of small visual changes. Album art in the Command Center is in a square icon, a few emojis have new art, there’s a new waiting animation for the Live Photo effects (loop, bounce, and long exposure), and you can now access the same wallpapers that came with the iPhone 8 and X on other iPhone models. In terms of new features, the most prominent one is the ability to control AirPlay 2 devices in Control Center. You can quickly switch between controlling multiple different playback destinations independently. This is important groundwork for the coming HomePod release, but it works with Apple TV (4th generation or 4K) right now if you update that device to the tvOS 11.2 beta as well. We don’t have an official release date for iOS 11.2, but the release of another Apple product can help us narrow it down a little. iOS 11.2 appears to lay some important groundwork for HomePod, including controlling multiple AirPlay 2 devices in control center and the Music app. HomePod ships first in the U.S., UK, and Australia in December, so iOS 11.2 is going to have to be released before then. How can I grab the 11.2 public beta? If you want to try out the changes for yourself, you can help Apple test the latest iOS update. The first iOS 11.2 beta for developers was released on October 30, and the first public beta release on November 1. Once you log in to the Beta Software Program page, you’ll see a link to Enroll your iOS device. Apple will remind you to make a backup (you should definitely back up to iTunes, and Apple recommends you “archive” the backup to make sure it’s saved), and then you’re instructed to go to beta.apple.com/profile on the iOS device that you want to put the beta on, in order to download and install a configuration profile. That will make the beta available as an over-the-air software update in the Settings app.